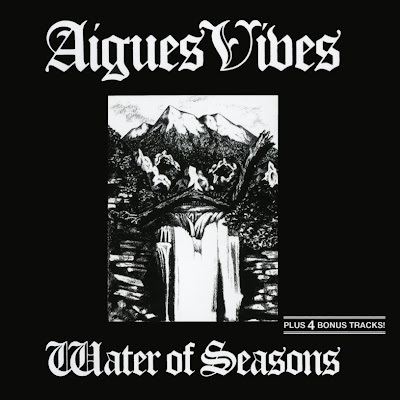 Named for a French town whose name in turn refers to "prosperous fountain/source", Aigues Vives was formed in 1971 in the part of Germany close to the Belgian border. Initially, they were influenced mostly by the progressive rock of their day, but several purges and reformations cast them as a mostly acoustic folk group with plenty of progressive touches. Not particularly German sounding, they nonetheless do bear some comparison to early Hoelderlin, Broselmaschine, or even Emtidi. It was the third incarnation that finally committed a recording to posterity. Water of Seasons is an entrancing and trippy yet rooted disc that appeals across a broad spectrum of prog folk, psychedelic, and German progressive fans. It was released in a limited edition of 1000 copies and commands a healthy price among collectors. After yet another lineup change, the group integrated a rock backing with medieval sounding folk in a homegrown cassette Dwarfs Casting Long Shadows, meant to presage a second LP that never materialized. 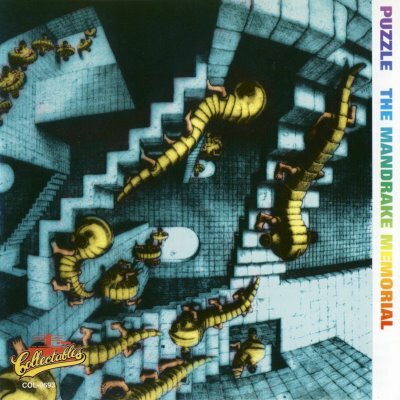 The Mandrake Memorial began life with an unknown New York City band called The Novae Police, featuring Kevin Lally and Randy Monaco. They played in the Village for a while, opening for bands like The Flying Machine (featuring James Taylor), whilst Randy was also doing a lot of demo work, singing on the first demo of "Happy Together" which The Turtles later recorded. Meanwhile, guitarist Craig Anderton was playing in a college band from the University of Pennsylvania called The Flowers of Evil, who played shows with Woody's Truck Stop (Todd Rundgren's first band). Keyboardist Michael Kac was also in Philadelphia's Cat's Cradle. The Mandrake's came together through promoter Larry Schriver, who was working in conjunction with club owner Manny Rubin. Manny was looking for a house band for his club, The Trauma in Philadelphia. The band started playing the Philadelphia, New York, Boston and college circuits, even appearing with Pink Floyd on TV and through Manny obtained a deal with MGM subsidiary Poppy (their first two albums were issued by RCA in the UK).